When selecting the right deck builder to complete a project at your home in O’Fallon, Illinois it can be hard to determine which company stands out above the rest. All deck installers claim to be the best, promising to offer you the highest quality decking and service in the area, but not all actually deliver. If you select the wrong company, you could be stuck with a subpar deck as well as an expensive and exhausting installation. 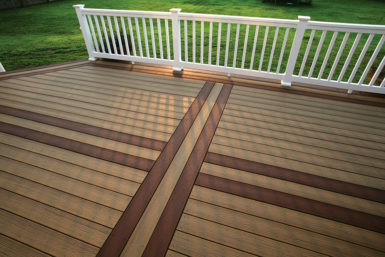 What’s more, as a premier deck builder, we also offer incredible warranties on our decking, including a 20-year manufacturer warranty on our Tamko EverGrain® Envision® PVC coated composite decking that covers deterioration, fading, and staining. And, because we are so confident in our installations, we back all our installations with a three-year labor warranty to provide peace of mind for our customers. 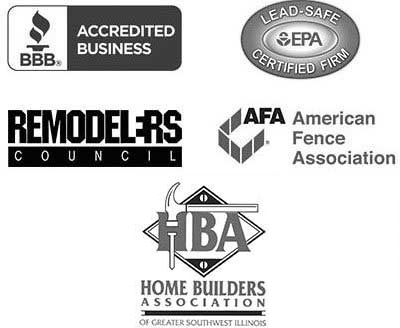 To learn more about why are the deck builder homeowners consistently turn to in the O’Fallon, IL area, contact Chesley Fence & Deck today.